If you’re wanting to have your new piece of furniture in situ in a matter of days, you might need to have a rethink. A bespoke piece is complex, from the design, to the sourcing of materials, to the production. If you are in a hurry, we can restore an existing piece for you or you could choose a one-off piece from our art furniture collection. This can help a great deal. We can work to your limitations and are always upfront about the costs involved. 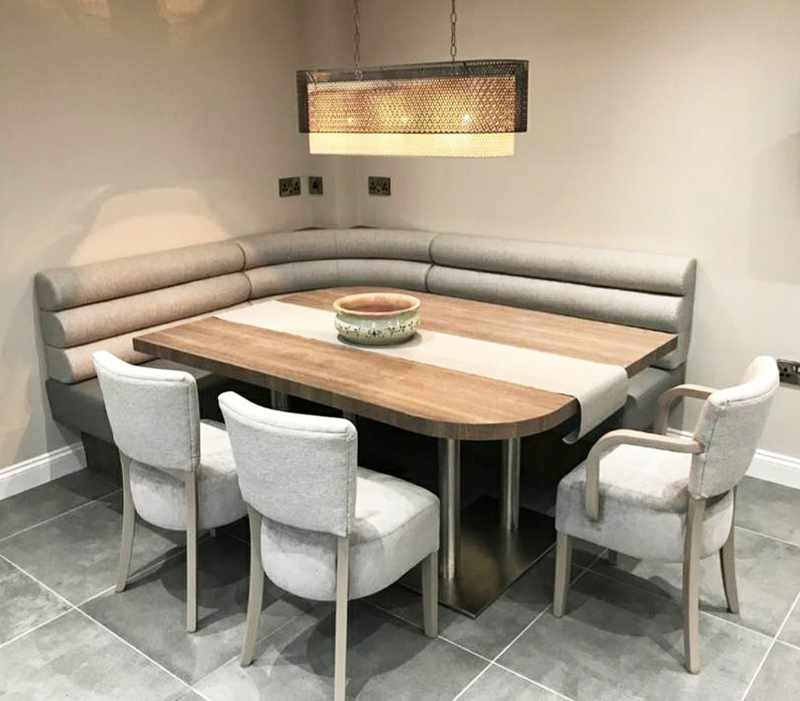 There is a vast range of fabrics and faux leathers at different prices and our design team have the knowledge and experience to guide you in the right direction, keeping within your budget. We have hundreds of fabrics for you to choose from, to suit all budgets. When you order custom furniture from Jacob UK you have free rein. You can choose the fabric, wood finish, style, trim you like. If you choose an existing style of furniture (such as our Oak dining chair or Domeba Ink Armchair, you can expect a turnaround of 4 – 6 weeks). If you want something truly bespoke, created by us after detailed discussions with yourself about your desires – the turnaround is typically longer. However, we love a challenge and can move our schedule around if necessary. We have done in this in the past for a top footballer and his wife. Some companies claim to offer ‘bespoke furniture’ but fail to deliver. They import cheap furniture from abroad that isn’t built to last and have a ‘bespoke’ option, such as a limited choice of fabrics. We are different. We are leading the way when it comes to bespoke furniture and all of our pieces are lovingly handcrafted in the UK. We use the best materials and equipment, and our decades of furniture making experience sets us apart. If we can’t do something, we know the right craftsperson to ask and they can supplement our team to work on your project with us.